We aim to engage with as many members of the local community as possible, to help shape the future of Heritage Learning in Buxton. Buxton Crescent Heritage Trust have appointed an Education Development Manager who is producing a learning and enrichment programme for the Crescent and Pump Room, in partnership with Buxton Museum and Art Gallery and Poole’s Cavern. 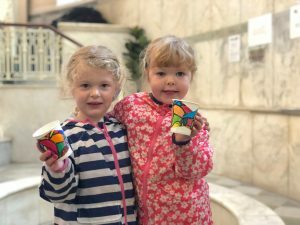 As part of the Trust’s commitment to celebrating the rich heritage of Buxton, we will offer engaging and inspiring visitor and learning experiences which help foster a sense of ownership for local and international visitors. We are particularly keen to speak with teachers, parents and young people who are willing to contribute to a focus group to consult on the development of our offer. What valuable education opportunities could we be building on in Buxton, and where do you see heritage learning going? From curriculum-linked primary school sessions to to secondary, further and higher education, we have an ambitious outlook and are open to making partnerships, so please get in touch if you’d like to talk with us.